I am a visually impaired artist with Retinitis Pigmentosa (RP) who works with details and intricate designs. 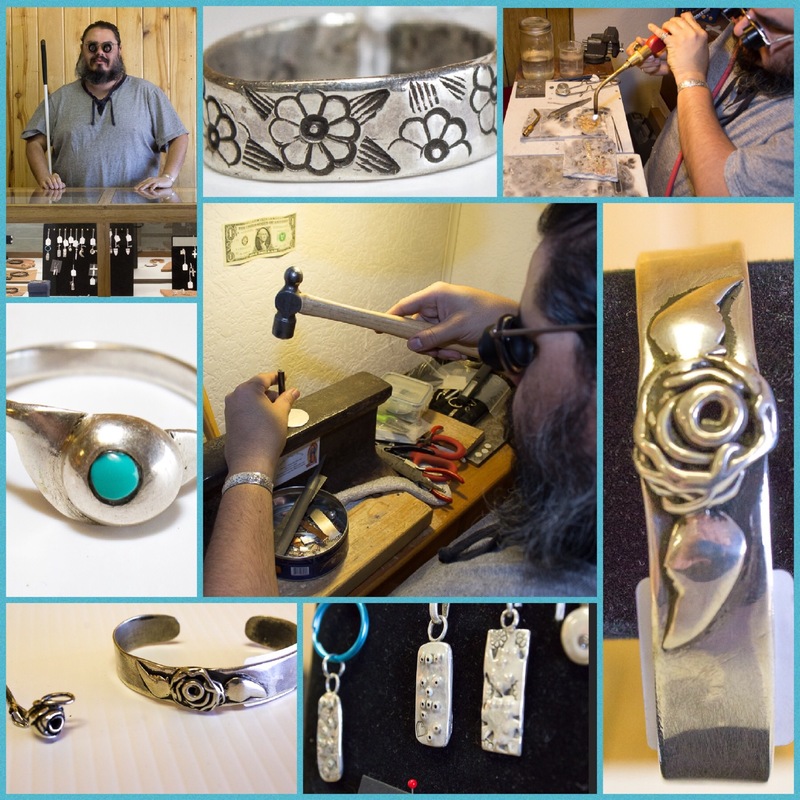 In 2014 I started on a new journey as a silversmith and noticed my central vision was failing. I was working on my apprenticeship with the late great Master Silver/Goldsmith, Phil C. Loretto. 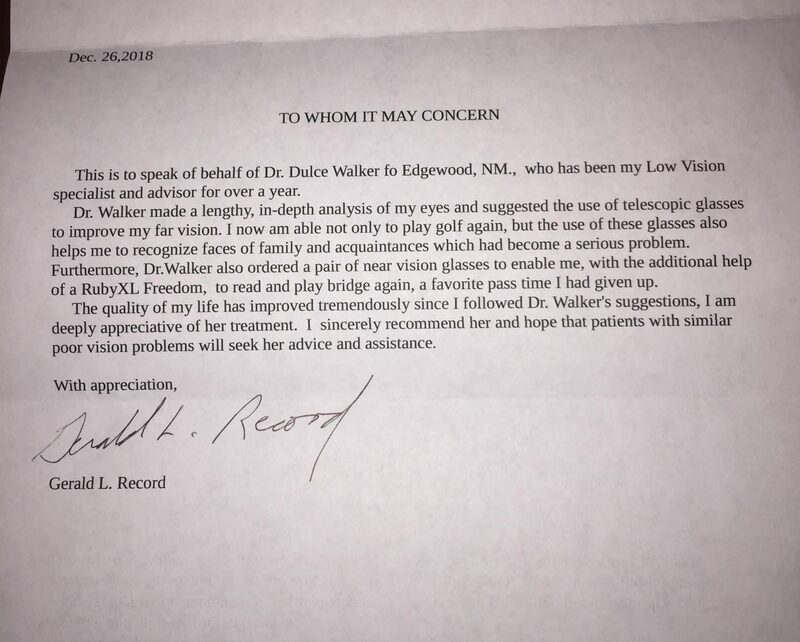 By the end of 2015, I was referred to Dr. Dulce Walker by the New Mexico Commission for the Blind because I started to struggle even further to complete my assignments/projects. Dr. Walker was able to correct my central vision to 20/40 and prescribe these “super cool” telescopes, reverse telescopes, that minified objects so I see the details instead of just the outlines. It also helped increase my field of view on the projects I was working on. My instructor was totally amazed by how I was able to complete all my projects. I am now the founder of Legally Blind Artistry and a co-owner of Galleria de Corrales, an artist owned gallery. Dr. Walker allowed me to be a better artist and utilize my residual vision to be the best artist I can be. I no longer struggle using an acetylene tank for soldering work or when I’m at my buffing and polishing station. Last year, Dr. Walker again helped me acquire some “super cool” fashionable sunglasses that block out 98% of the light. 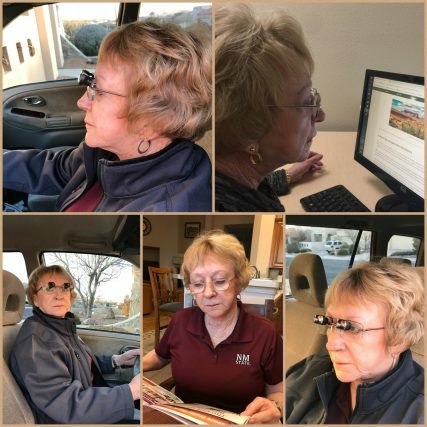 The sunglasses help me navigate outdoors safely with confidence because it diffuses the light and makes objects clearer. When I was running out of hope, Dr. Walker helped me with my visual needs and gave me many options that I never knew existed. Dr. Walker is very passionate about helping visually impaired individuals and understands our needs to continue whatever our heart desires to live a happy and productive life. As I was re-reading my testimonial, I became teary-eyed. Dr. Walker, you have helped me through so much with my low vision. Thank you!!! 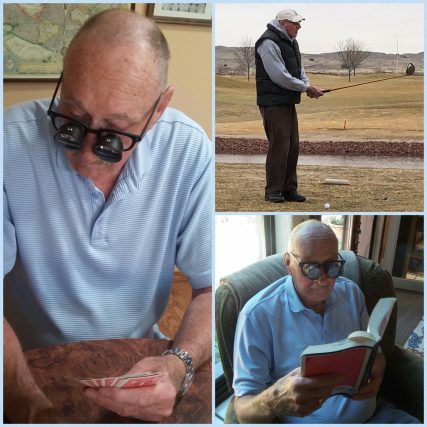 Low vision devices have enabled me to do things that I did before my sight significantly diminished. The devices (magnifying glass and Ruby reader) support me to do work on my computer including spreadsheets and word documents as well as browse the internet. It also helps me to read telephone numbers on my cell phone, my email and all kinds of mail including letters. I really enjoy using the telescopic glasses to enjoy movies, sports events, family outing and of course, television. Dr. Walker has helped me to see with my visual disability. She has prescribed magnifying glasses that help me to read, which I had great difficulty with before seeing Dr. Walker. The magnifying glasses also help me to work on a computer, scan the newspaper, and write checks. 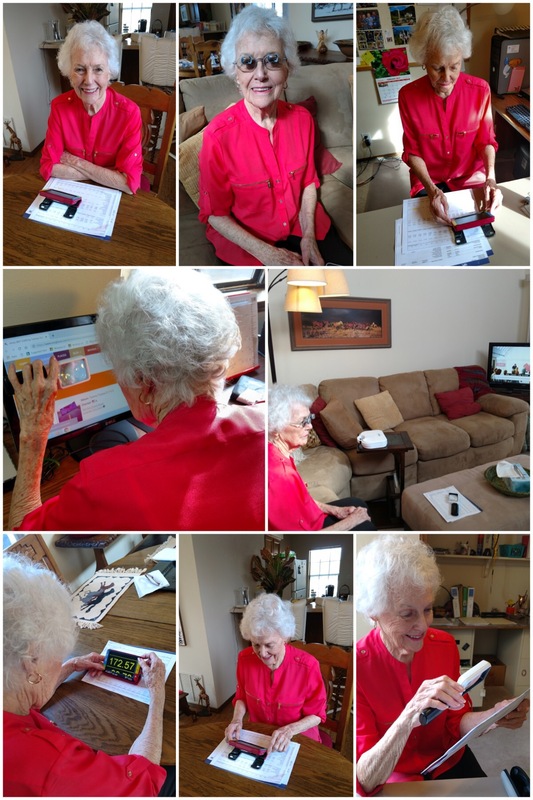 These tasks minimize my disability and restore some independence in my life. She has also prescribed bioptic glasses that help me to drive. The ability to drive has restored again some independence in my life. I am so thankful for Dr. Walker’s expertise with low vision aids. 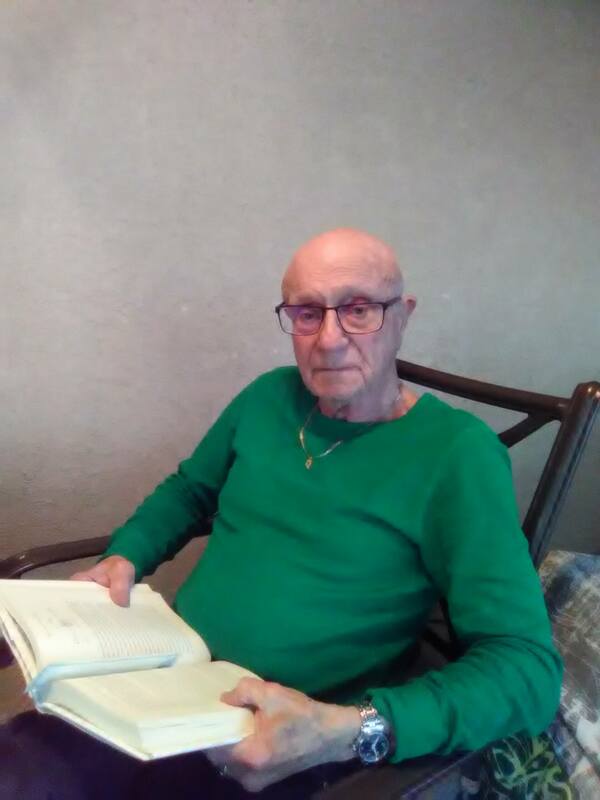 After many refractions and before going to Low Vision NM reading – even in normal lighting – was difficult, slow and required either a magnifying glass or a headlamp. After Dr. Walker’s examination and refraction, I had the prescription filled. Now I read almost without effort, in normal lighting, without the use of a headlamp or magnifying glass.